I have one simple statement that I need to address, we have been blessed to be part of the Charles City community. Our business thrives on our community and we appreciate this connection! We recently participated in Witchfest which is a fun shopping day for everyone to participate in for both the participants and the businesses. The first 100 participants received a swag bag and a free fire extinguisher to celebrate National Fire Prevention Month at the chamber. 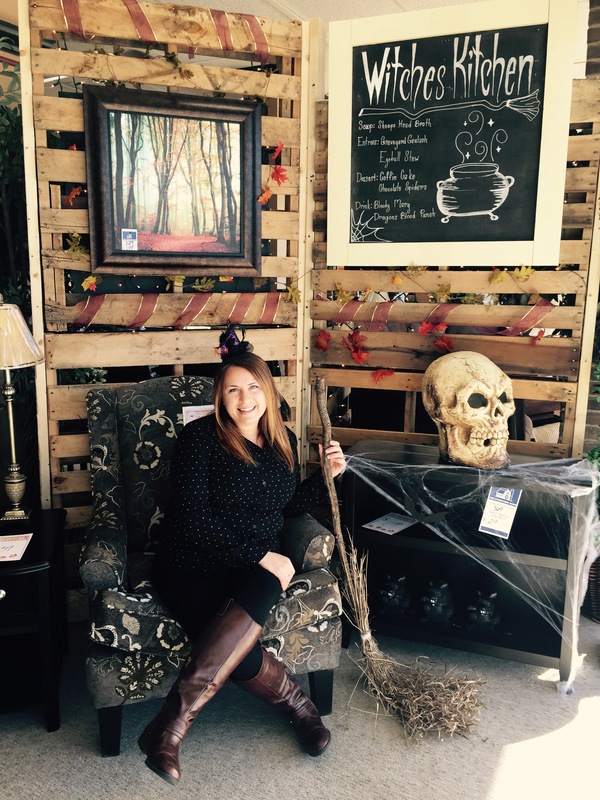 Participants and sales associates were encouraged to dress up as witches. The best part of this event is to see several witches walking around town. This year over 20 local businesses participated in this event and handed out coupons and gifts. 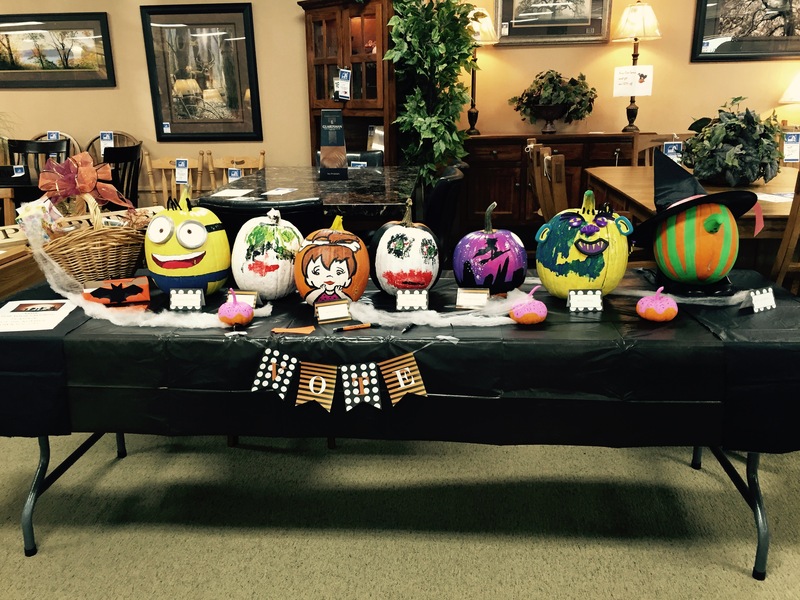 The Furniture Barn had some exciting in store events: a pumpkin decorating contest and a Restonic queen size bed giveaway. We brewed some witch’s hot apple cider and had great sales including BOGOs on lamps, decorative pillows and greeting cards. Crystal is seated in a corner of our Witch’s Kitchen. Stop by at night to see the full moon glow! In November we are participating in Wine Down Wednesday and ElfFest which conveniently lands on Small Business Saturdays. Keep up with our events on Facebook and Instagram @thefurniturebarninc.